Announcement Hi all! Welcome to my Etsy shop! This is your one stop shop for everything hand made by me for YOUR dancing pleasure! Feel free to message me about custom orders! Hi all! Welcome to my Etsy shop! This is your one stop shop for everything hand made by me for YOUR dancing pleasure! This may be the most beautiful skirt I've owned. It's light and airy, the color pops and it is very fluffy when I wrap and tuck it. Plus it came in a beautiful box and tissue wrapped, so opening it was fun. Thank you, thank you! WOW!! This is an amazing skirt!! 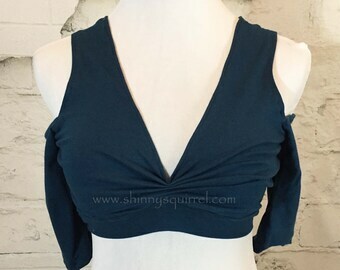 It is comfortable, light and airy, with a beautiful drape and lots of body. Since the bottom embroidery is two-sided it looks especially fabulous when tucked. Like everything else from Shinny, it it beautifully made and was quickly shipped in a beautiful box. So much fun to open! If you don't already have one - get one. If you already have one, you'll want one in every color. I know I do!! Durable and thick material. Vibrant colors. Love it! 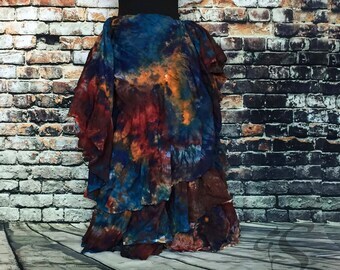 I carry a full line of tie dyed skirts! Add one from the current selection or create your own! 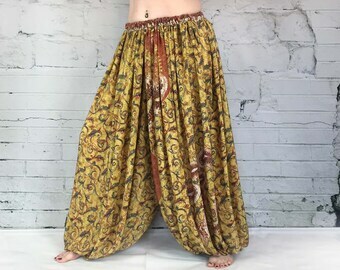 Silk Sari harem pants! You'll find every color, pattern and fabric imaginable! The selection is ALWAYS changing! Who wants boring?! 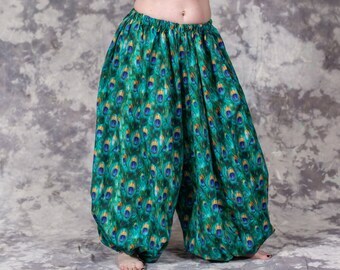 You'll find all sorts of cotton harem pants to suit your every need! I carry choli in every color imaginable. 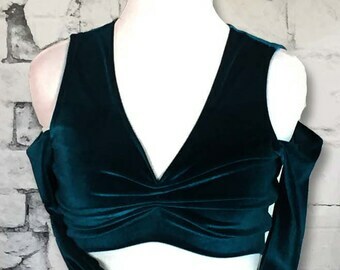 In both cotton and stretch velvet! The premier creator of open hip harem pants! Like you, each is an individual! How I got here...or the story of Shinny Squirrel. 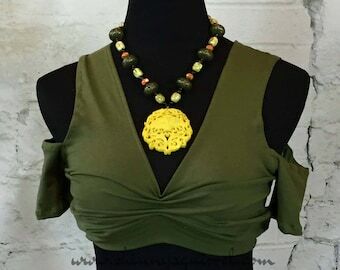 I am so thrilled that everyone who wears a creation from my shop knows that they are getting high quality original items worthy of their unique personality. 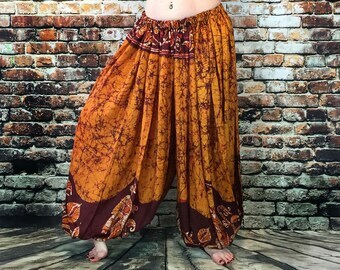 When I started tribal belly dancing in 2010, I had a really hard time finding harem pants! All of the available options were either really expensive or made of really poor quality and fell apart! I kept saying to myself, " There must be something better out there!" Alas, I couldn't find it. 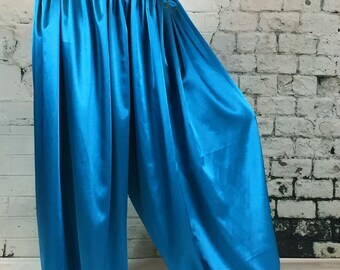 So starting with fabric from the fabric store down the street I set about making harem pants that I wanted to wear and that didn't break the budget. 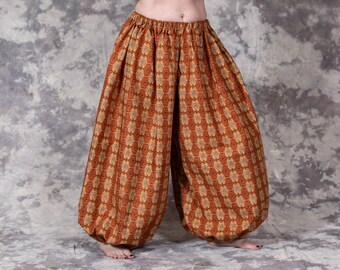 After LOTS of experientation on fit, lots of failed attempts and lots of frustration, the perfect harem pant was born! 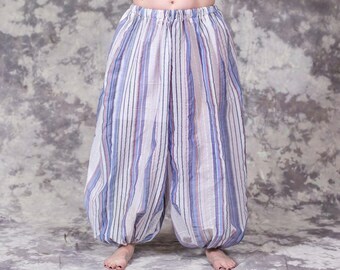 the first pair of 'perfect' pants? Flames of course! When others started to see the possibilities they too wanted a pair for their own! Soon dancers from other tribes all over Colorado were stoping mid-sentence to inquire about the fun pattern or the soft and silky textures of my pantaloons. On more than one occasion I heard "OOOOO" SHINY!" Followed by a good natured "SQUIRREL!" and so Shinny Squirrel was born. After a few months it became apparent that the time had come to bring the fabulousness to the masses. The obvious choice was Etsy! The problem was that the name Shiny Squirrel was already taken (although that shop was never opened). Since I already had a huge following that new me as 'Shiny Squirrel' I decided to keep the name, but to misspell it. I thougth of changing it to something 'new and improved' when I opened my website in 2016, but my huge fan base said absolutely not! Turns out they love it! Over the years I have become the premier maker of the hand tie-tyed skirt, sumptuous choli, eye catching harem pants, and much, much, more. 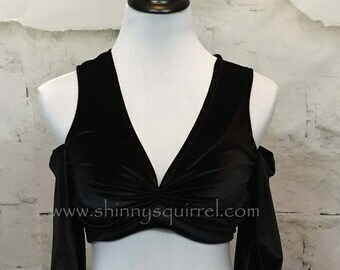 By limiting my quantities I can keep bringing you the tantalizing patterns, the decadent fabrics and as always the high quality and outstanding customer service you deserve! After all we are belly dancers and WE LOVE ALL THE SHINY THINGS!!! Even though Shinny Squirrel has grown by leaps and bounds, you can always count on me to be there for you! My customer service is just ONE fo the things people rave about, as reflected by the 500+ Five star (*****) reviews on Etsy! This shop creates the fabrics I use in some of my skirts. Welcome to the Shinny Squirrel! 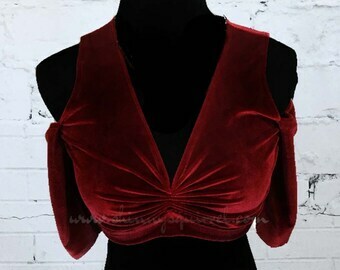 I simply LOVE to create one of a kind and seriously unique designs for belly dancers, renaissance, bohemian and anyone else that wants quality merchandise to wear! I do accept a limited amount of custom work and of course I offer teacher and troupe discounts! Be sure to sign up for the VIP mailing list! That is where you will find all of the cool new stuff along with all of the best DISCOUNTS!!! 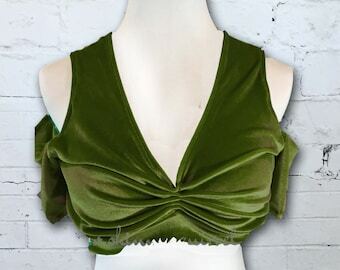 Custom ordered items (custom dyed skirts, custom fit choli, etc) are non-refundable unless the fault lays with me. I will be sending you samples of color swatches for custom dyed items for you to approve. Refunds and exchanges will not be accepted for things like the color(approved by you) is wrong. Please keep in mind that the color on my screen might be off from yours. Some color variations are to be expected. All returned items must be returned within in 30 days in an unworn and unsoiled condition. Shipping charges will be paid by the buyer and not by me UNLESS the fault is mine. ~ Lawaway. Let's face it belly dance costumes can get costly. That is why I offer a very flexable terms. Message me with the items you would like and your email. I will need to set up a PayPal invoice for you as Etsy doesn't offer the layaway option. You will receive an invoice from which you can pay. The terms are thus: 30% down and 90 days to finish paying. Pay as you can whether it is weekly, bi weekly or monthly. Once paid off I will send it along. You must pay at least monthly. If you do not I'll remind you once and then cancel your order unless you contact me. Most items ship in 1-2 weeks. Ready made items (hair pieces,pants some skirts) will be shipped the following Saturday after ordering. The listing will let you know if it is a ready to ship item. Saturday and Sunday will begin processing on the following Monday. If you need something RUSHED to you, please contact me. I will do my best to accommodate you. There will be a RUSH charge from me as well as any additional charges for expedited shipping. I might contact you with questions regarding your order. Shipping times might be altered depending on your responses. We use USPS for shipping. Transit time depends on the recipient's location and the method of shipping selected. If delivery of a package is refused, rejected, or returned for delivery failure or any reason, we reserve the right to charge you for both outbound and inbound shipping charges as well as any additional charges that we incur as a result. Please note that USPS does not deliver on Sunday and holidays. ** International orders please note that you are responsible for all customs charges. At this time Etsy does NOT collect for those. If you would like a custom order or a group order please send me an email and we'll see what we can work out!